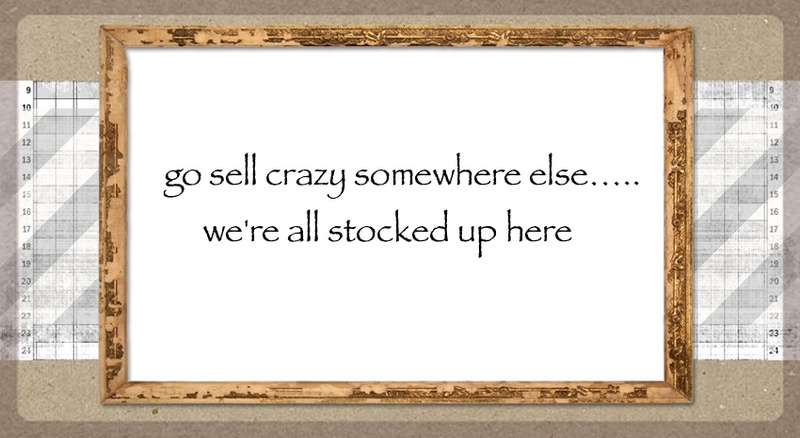 go sell crazy somewhere else: MONDAY, MONDAY.. Okay this is an OLD statement, but maybe I am. Where does the time go?? I mean seriously? It was last Monday a minute or two ago- wasn't it? I don't have anything to major to discuss, in other words my last week wasn't too exciting. Except for knitting... 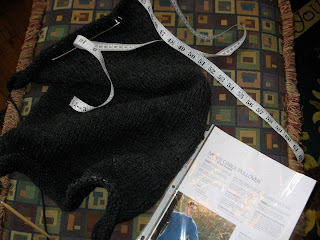 I did get accepted to be a part of a knitting project for a fairly famous (in the knitting world) pattern maker who is creating something new and exciting and was looking for people to be a part of it. (I can't say too much more at the moment- but it's cool- way cool). So THAT was exciting. Anyway- that and the sweater. I think I mentioned that I'm knitting a sweater for my husband.... erghhhhh. I am a perfectionist when it comes to knitting, so in reality I've knit this thing probably 4 times. And I have another time to go. I had the front and the back done- and 'pinned' it on him and it was too long. Really- couldn't he have just gone with the tunic and tight jeans look??? Could have started a trend for men who are in their 50's. He didn't embrace it. NOT even remotely. You always have me chuckling! That is so awesome with the knitting design work!!! Congrats! Can't wait to hear about it! See ya tomorrow night!